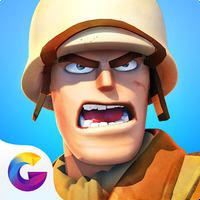 "World War II themed mobile strategy game for your Android"
Game Goal: Participate in exciting WWII battles. Make sure that the alliances you make bring victory and not defeat! How to Play: Choose a nation and then train your troops well. Make clever tactical alliances, arrange impenetrable defenses, and defeat your enemies. Game Options: Available in real-time, multiplayer, online mode only. Graphics: Well-detailed graphics with great light and shadow effects. Controls: Use the touchscreen interface to perform all the game's functions. Build barracks, train your troops, and order attacks. 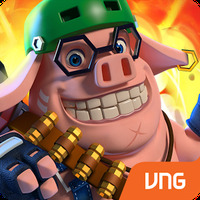 Developer: Gaea Mobile Limited is based in China	- Developer recommended by Google Play. The game displays only a limited number of ads. The gameplay is simple but still engaging. Choose from different countries and troops. A game that's both fun and educational. Heavy play can overwhelm the memory. Do you like StormFront 1944?